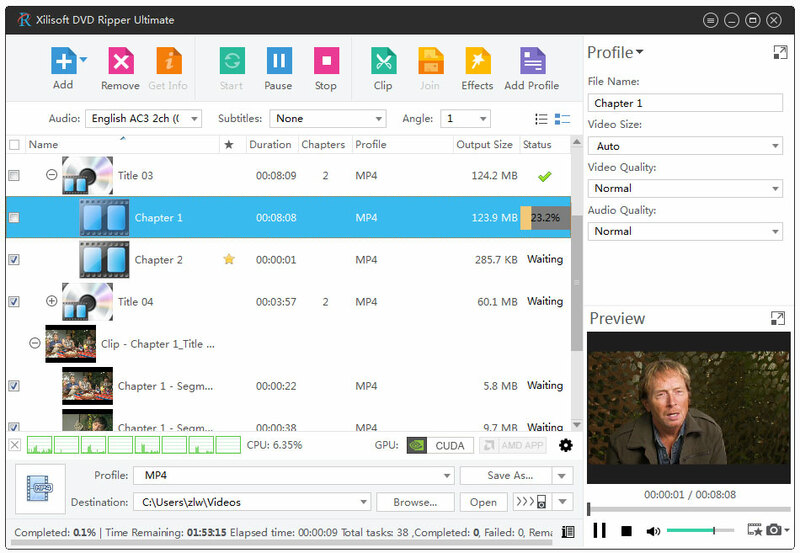 Free try Xilisoft DVD to Video Ultimate now and enjoy converting Home DVD to MPEG, Home DVD to AVI movie! Customize output file size using the smart Bitrate Calculator tool; set divers output formats from one source by adding profile; create your own profile in the way of adjusting the parameters of existing profile. Provide English, Portuguese, German, Italian, Spanish, Japanese, French, traditional Chinese and simplified Chinese interface languages for you to choose.